FUN FUN FUN FEST (FFF Fest) is excited to announce the food, nonprofit, and retail vendor lineup for the festival on November 6-8, 2015 in Austin, Texas. The festival is also partnering with Austin’s own El Chilito to be the onsite taco partner for the festival. Opened in 2006, El Chilito currently has two locations at 2219 Manor Road and 1623 East 7th Street, and the restaurant is set to open a third location in South Austin at Manchaca and Redd Street in 2016. 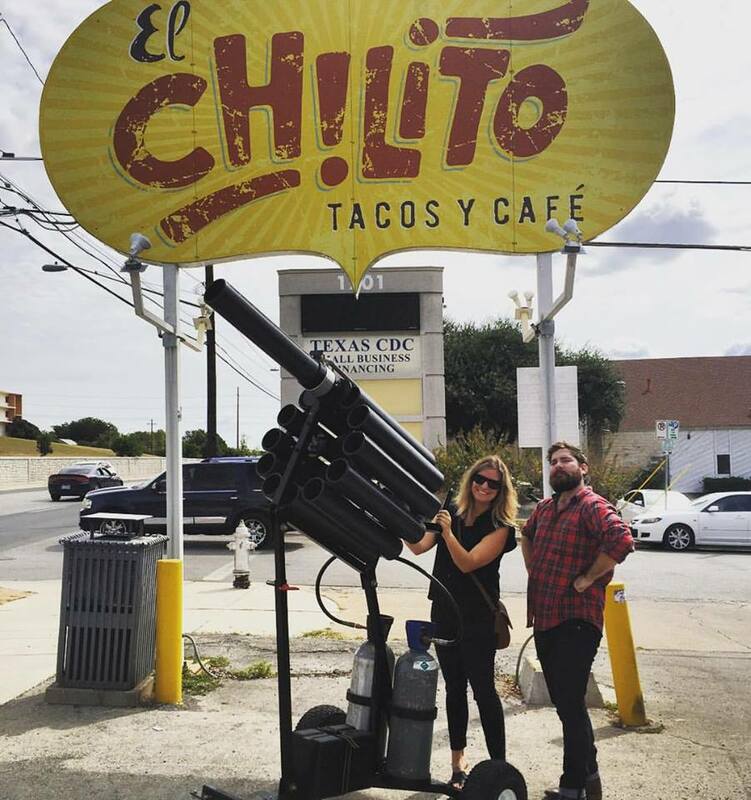 Tacos from El Chilito will be launched in the festival’s famous Taco Cannon for festival fans throughout the three-day event. Launch times for the Taco Cannon are available via the Fun Fun Fun Fest Official App, which is now available for download in the iTunes and Google Play stores. 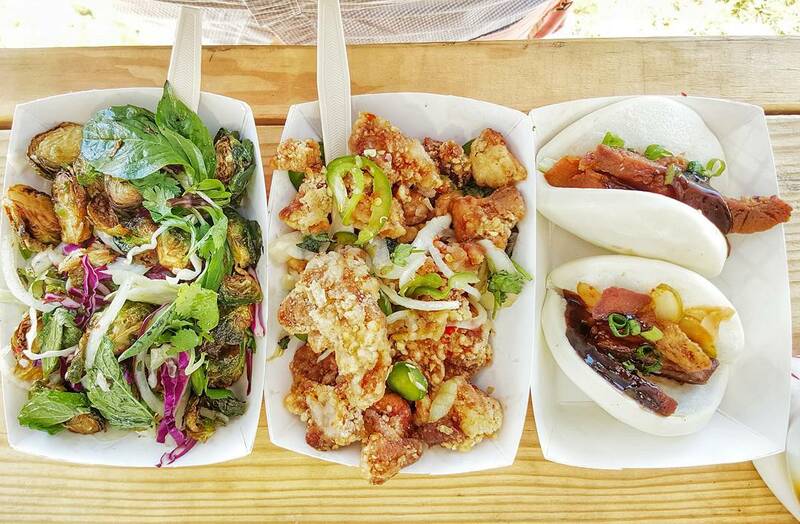 Now in its tenth year, FFF Fest continues to partner with stellar Austin food vendors to bring festival goers many dining options including vegan, vegetarian, and gluten-free choices. Many festival food vendors will offer special menus made for FFF Fest. The festival will host several retail vendors, which will be onsite selling clothing, festivalgear, and more. The festival will also host a ten-year festival poster retrospective. FFF Fest is also proud to support a number of great nonprofit partners. The FFF Fest 2015 music and comedy lineup includes headliners Jane’s Addiction, D’Angelo and The Vanguard, Venom, Wu Tang Clan, Chromeo, NOFX, Grimes, Rae Sremmurd, Future Islands, Eric Andre, and ODESZA, along with a roster full of indie, hip-hop, punk, electronic acts, metal, and more. The FFF FestNITES lineup includes a full set from GZA, performances from Andrew W.K. (solo), Lagwagon, Mayhem, Skinny Puppy, Subhumans, Tig Notaro, Le Sins (Toro Y Moi DJ set), and more. NITES will also include performances from Hyundai GRAMMY Amplifier artists Cramer, Bonavox, and Barnaby Saints. The NITES shows are free forfestival goers thanks to Hyundai and the GRAMMY Amplifier program. Check out the full festival lineup atfunfunfunfest.com. Both single-day and weekend passes are now on sale and available online. Single-day tickets are available for $89 while three-day passes are $199. Additionally, the Ultimate Smooth Pass (USP) is on sale and available for $450, offering ticket buyers the upmost FFF Fest experience. Fun Fun Fun Fest would like to thank all of the 2015 partners and sponsors who help make the festivalpossible, including Hyundai, Shiner, Red Bull Sound Select, Volcom, JASH, Deep Eddy Vodka, Tullamore Dew,Jukely, Luden’s, Rdio, and Café Bustelo.